ARR’s vision is to be consistently recognized as a steward of sustainability, improving the environment through the communities in which we do business, with a daily dedication to anticipating the needs of tomorrow using the economical foundation upon which we’ve built our reputation. ARR has baseball fever and will be giving away a FREE 4-pack of Brewers Tickets (includes parking pass) throughout the season. Visit us at any of our three locations to be entered into the drawing. Enter daily. No purchase necessary. Not only does recycling pay off for our environment, but also for you. 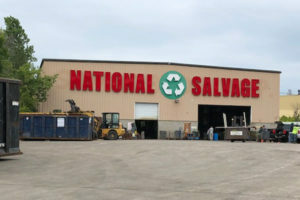 We pay cash on-site or send regular settlements for certain recyclables. Review our FAQs for a full list of what we buy. Reusing different materials helps reduce the planet’s carbon footprint. Steel is the most recycled material in North America. Cans, construction scraps, automobiles, and appliances can be turned right back into the steel that can be used in the same applications. Over 33% of new paper is produced with recycled fiber. By weight, paper comprises more than 33% of all recyclables collected in the US, nearly 45 million tons in 2010. Recycling one ton of plastic bottles saves the equivalent energy usage of a two-person household for one year. ARR provides solid performance on creating cost-effective solutions and maximizing our return on waste recovery. They are a great partner! We have been doing business with ARR for almost 4 years and wouldn’t go anywhere else. Their staff is fantastic to work with and are always accommodating. From day one, ARR has taken great care of us. They’re always responsive and come up with solutions to maximize our recycling efficiencies and revenue. The service that ARR provides is exceptional. We have enjoyed doing business with them and will continue to for many years to come. 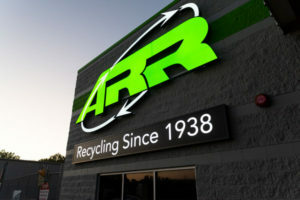 ARR is dedicated to improving our community and environment through recycling as a three-generation, family-owned operation. 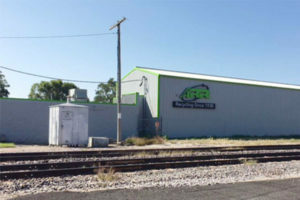 Founded in 1938, ARR has grown to be Wisconsin’s leader in recycling with locations in Waukesha, West Allis, and Milwaukee. © Allied Resource Recovery 2019. Theme designed by CPOThemes.